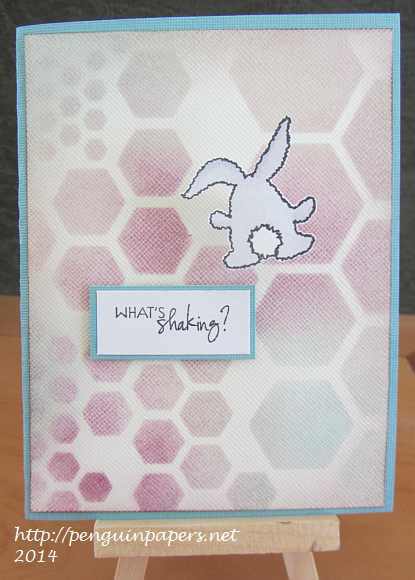 OWH – Hexagon Bunny: What’s Shaking? Today I’m using hexagons for the Operation Write Home Stars and Stamps Midweek Throwdown Challenge to use hexagons on a card. Hexagons have gotten to be a pretty popular shape for stamps, stencils, die cuts, etc. I applied Distress Inks with a sponge applicator using a stencil with various sizes of hexagons for the background. I’ve had this bunny stamp for a long time, but I haven’t ever used him. I colored him very simply with Copic markers. Since I wanted to make him shake (had to do it! ), I popped him up with a skinny paper accordian. Now he shakes! 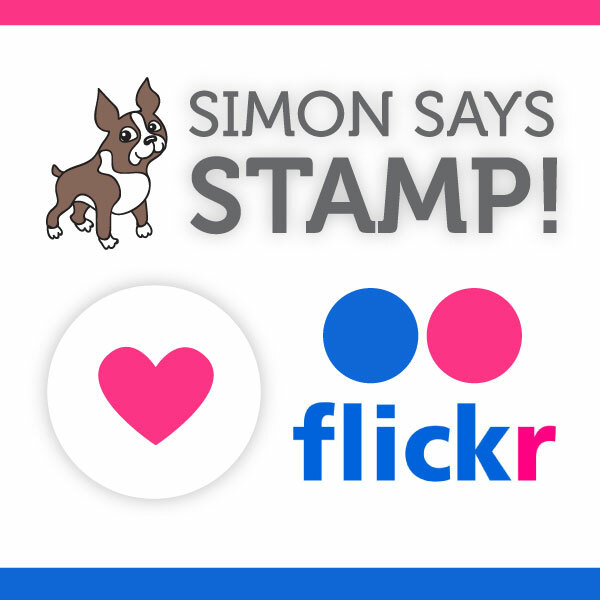 The sentiment was part of this stamp set. Thanks for visiting today. 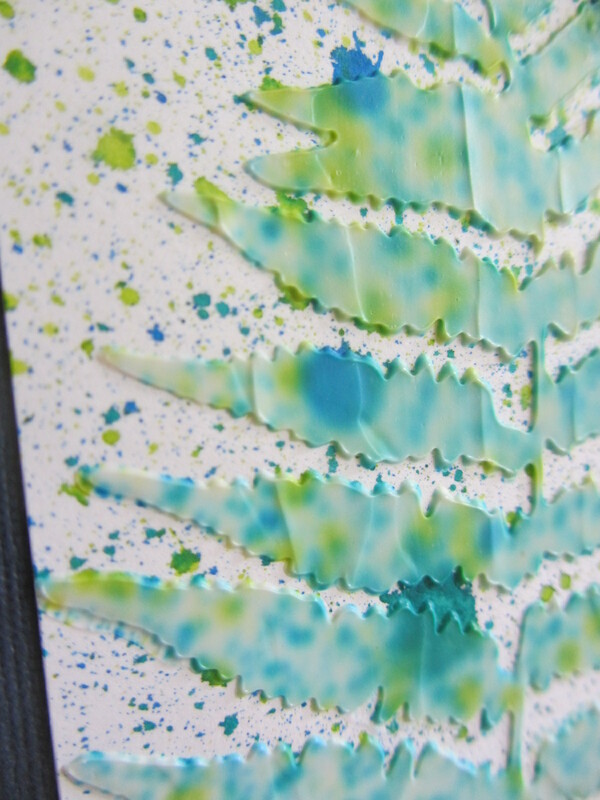 Stenciled Fern – Seahawks colors! 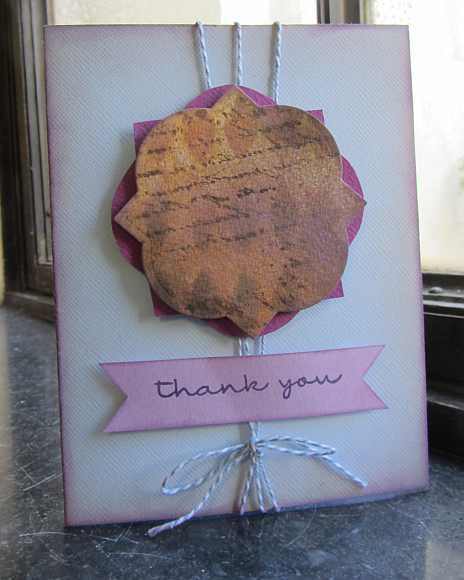 I made this card based on a lesson from the Online Card Classes Stenciled class. I tried my hand at using molding paste with a stencil. 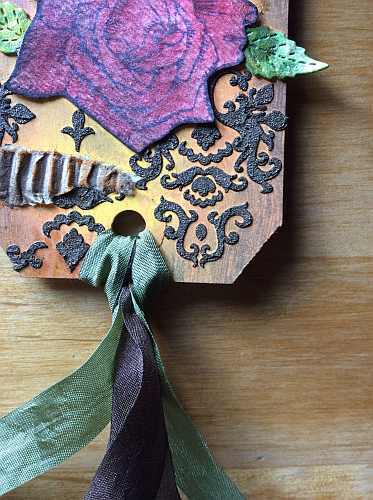 My variation was to mist the cardstock with ink sprays prior to adding the molding paste and it actually incorporated some of the color into the stenciled image. Kind of a happy accident! I’ve included a close-up here to try to show it in a little more detail. My color scheme reflects the colors of the Seattle Seahawks, who will soon be playing in the Super Bowl. The Operation Write Home Stars and Stamps CardBowl is this weekend, and one of the challenges is to use something that reflects one of the teams playing in your card design. Living in the northwest, it seemed only appropriate to select the Seattle team, so I picked the team colors! Thanks for stopping by today. Another stenciled card, using a white embossed greeting as a sort of resist. I’ve applied Distress Inks with a foam applicator through the stencil and then stamped over it with a subtle background image. 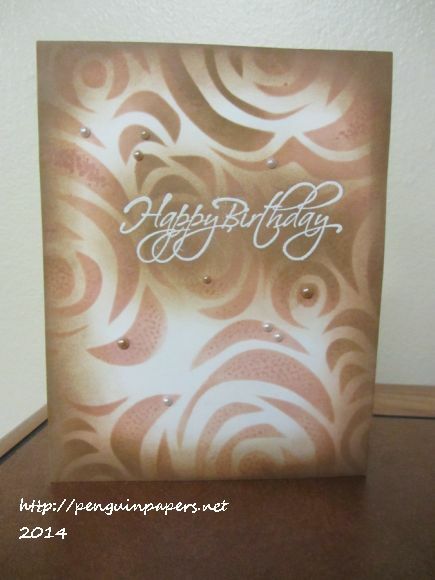 This is a very simple, one layer card with a few pearls to dress it up. 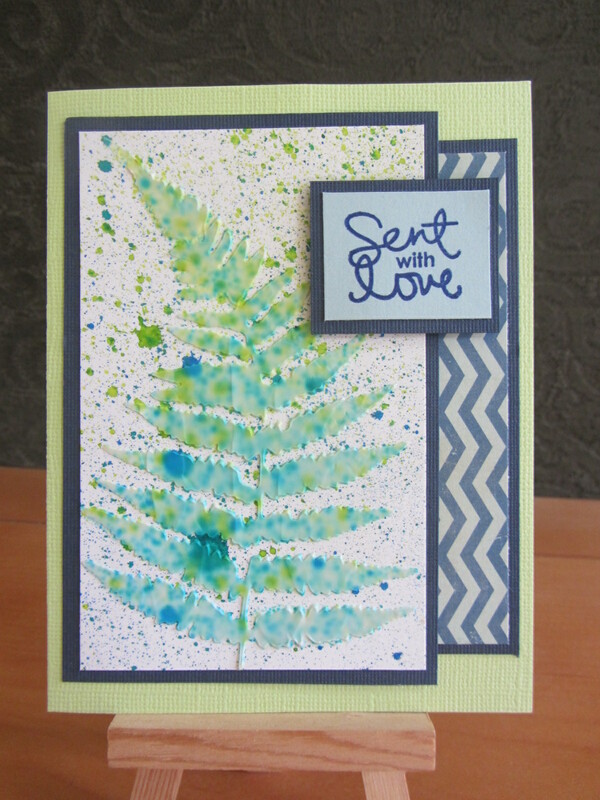 I was inspired by Day Two of the Stenciled class over at Online Card Classes. I have more stenciling experiments in the works! Thanks for stopping by. I’m taking the Online Card Classes Summer Card Camp 2, which is really packed with great information. I would highly recommend this class and have been pleased with many other classes offered by them. This week we are challenged to work with a specific color palette and three sketches, if we so desire. The color palette includes light and dark brown, light and dark magenta/purple and a light blue. I was inspired by a lesson Kristina Werner gave us and created the focal image on this card by creating a panel with Distress Inks on watercolor paper. I added some home-made spritzes of Distress ink with Perfect Pearls and layered some stamping and stenciled images. I then die cut this inkiness using a Spellbinders Vintage Label die and layered it atop a cardstock die cut a hair bigger that I offset. I created the sentiment and inked up all of the elements with chalk ink to tie together the color scheme with the lighter purple. Before I built the card, I tied baker’s twine onto the base and then applied the other elements on it using dimensional adhesive. Thanks for visiting! 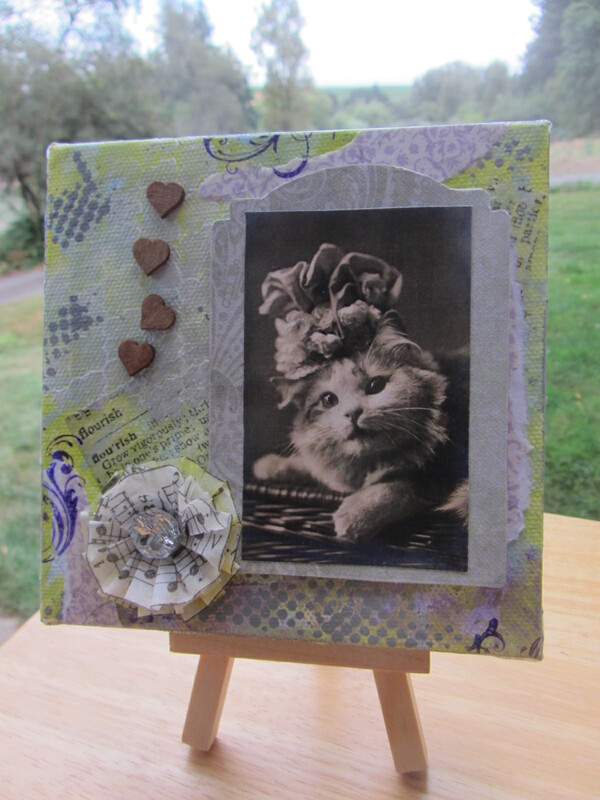 It is my habit to take a little bit of stamping and cardmaking stuff with me when I go camping. I set-up on a picnic table or a stump (really!) and ink away. I seem to be particularly drawn to distress techniques, since they are already kind of messy and a little dirt won’t hurt! I managed to make five cards and a couple of tags on our trip this past weekend. 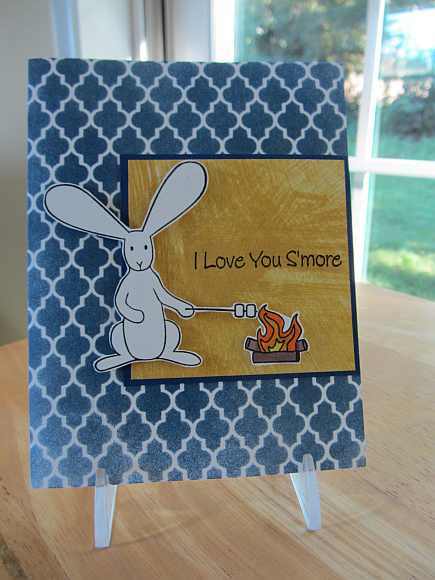 So in the spirit of camping, I thought I’d use this marshmallow-toasting bunny stamp I received during the OWH fundraiser. I also followed the color theory recommendations in the most recent OWH Design Bootcamp to use a major, minor and accent color for a nicely balanced palette. I created the background using Chipped Sapphire Distress ink and pounced it through the stencil. It really looks like patterned paper when it’s done. I tried to vary the application of ink so it is lighter and darker across the background, and if you use your imagination, could emulate the night sky. The little campfire is colored with Copics. The bunny is pure white and popped up for a little dimension. Thanks for visiting.